Restore your hair’s natural shine following exposure to the sun or salt water with our biodegradable Leave-in Hair Conditioner made with our potent antioxidant blend of Green Tea, Tulsi, Wakame and Olive Leaf. Usage: Rinse with fresh water if available, then apply to damp hair and finger comb to distribute evenly. Do not rinse. 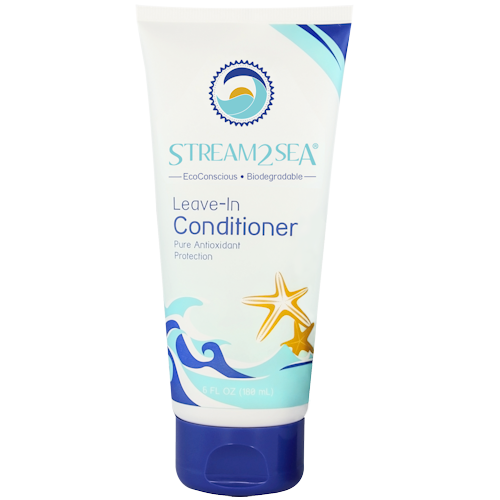 For maximum benefit, use after Stream2Sea Conditioning Shampoo and Body Wash.
Feel good about using Stream2Sea’s Leave-In Hair Conditioner. All of our mineral sunscreens and natural body care products are made of natural ingredients, biodegradable and tested safe for fish and coral larvae. This protects you, your family, and our planet’s waters. 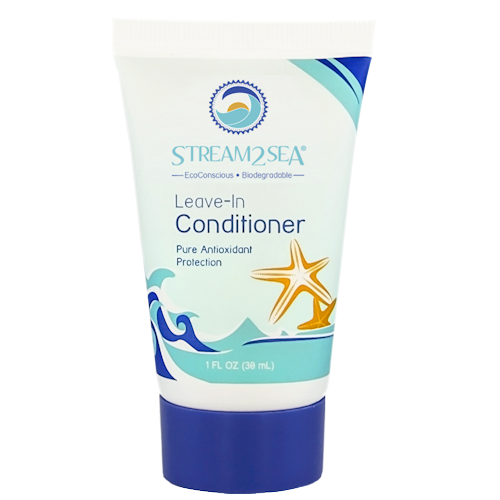 Feel good about using Stream2Sea’s Leave in Conditioner. All of our mineral sunscreens and natural body care products are made of natural ingredients, biodegradable and tested safe for fish and coral larvae. This protects you, your family, and our planet’s waters. I found this a great product for my hair and very useful on board a boat when you don't want to use too much extra water. Good for marine life too. So ticks all the boxes!